Pranayam Serial Cast and Crew, Actors and Actresses details, photos are provided here. Pranayam is a new serial launched on Malayalam Channel Asianet on 6th July 2015. This prime time soap opera is aired every Monday to Saturday at 7:00-7:30 PM only on Asianet. Pranayam Serial is produced under the banner of Sree Saran Creations, the same producers of Amma, the longest running serial on Asianet. The final episode 1008 of Amma was telecasted on 4th July, 2015. 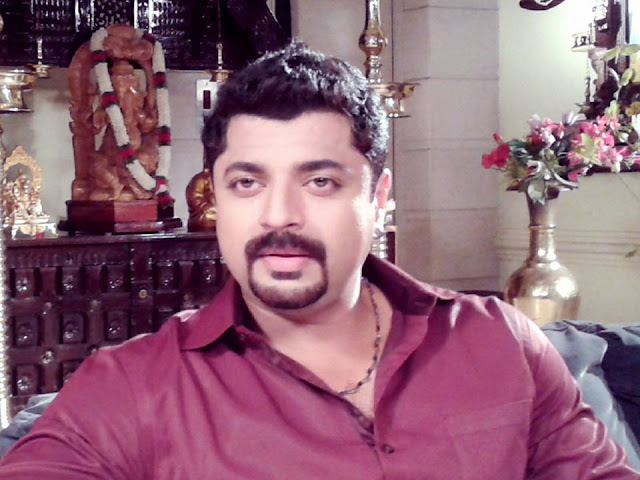 Pranayam is the remake of popular hindi serial Ye Hai Mohabbatein on Star Tv on December 2013. This serial has completed 482 Episodes since its launching on 3 December 2014. The story is written by Sonali Jaffar, screenplay by Ritu Goel, and dialogues by Ritu Bhatia. In the original hindi version the lead characters were Raman (actor Karan Patel), Ishitha (Divyanka Tripati) and Ruhi (Baby Ruhanika Dhavan). Because of its rating official remake of Ye Hai Mohabbatein is made into various Indian Languages. Story of Pranayam Serial : Pranayam tells the love story of two strangers , Sharan and Lekshmi. Sharan, the hero, is the CEO of a multinational company. He is divorced from his wife and is living with her daughter Malu. Heroin Lakshmi, is dentist, Tamil brahmin girl, settled in Kerala with her parents. Lekshmi is sterile and was not able to find a suitable alliance for her. Lekshmi gets attached emotionally closer to Malu . Malu brings Sharan closer to Lekshmi , who then transforms him into a caring father and a loving husband. Watch the serial to enjoy a beautiful love story. 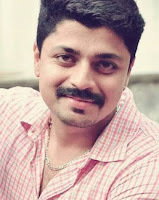 Hero and Heroine of Pranayam Serial: The role of the hero Sharan is played by Srinish Aravind, a model and trained actor. This is his debut serial. 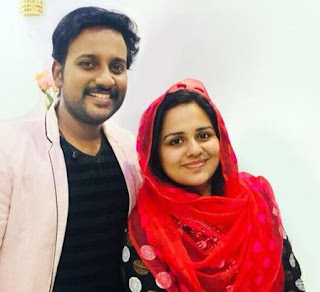 Actress Ramya Shanker is familiar to Tamil and Telugu audiences . She is currently acting as Revathy in Andal Azhagal, a Tamil Serial on Star Vijay. Other characters are portrayed by popular malayalam serial artists. Actress Ramya Shankar as heroin Dr Lekshmi in Parasparam Serial.